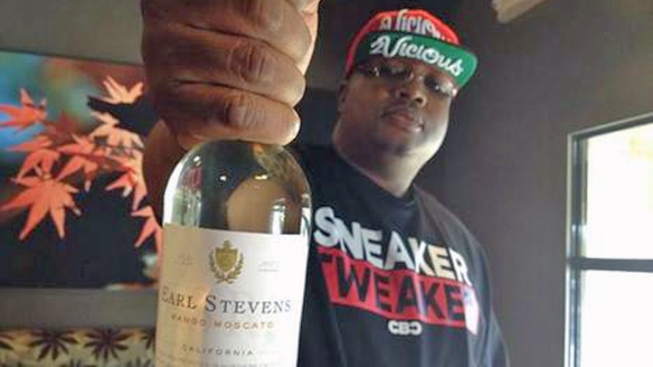 Rap star and Bay Area native E-40 is getting into the wine business. His new brand, named after himself, is called Earl Stevens Selections. He will launch with two varietals, a Mango Moscato and a Red Blend. It's an elevation in drink selection for a man whose nickname and rap moniker was first given to him based on an ability to drink many 40-ounce malt liquor bottles. E-40 is also often called 40 Water, because he used to drink 40s like water. This is not Earl Stevens' first foray into the beverage world. He's endorsed and was part owner of a cognac called Landy and also had 40 Water, his brightly hued take on Vitamin Water. He released a song early in his career about Carlo Rossi Wine (erroneously called "Carlos Rossi") and later joined up with the Saturday Night Live-reared band The Lonely Island to record a song about Carlos Santana's wine called "Santana DVX." His entrance into the moscato marketplace is well timed; the sweet dessert wine is currently enjoying an improbable popularity among rappers and rap music fans, evidenced by it being mentioned by name in many songs over the past year.